EA Games and the Sims Studio have announced the release of a new expansion for The Sims 4 entitled Get to Work. The new release allows gamers to finally start their own business or even work for some select jobs to discover their perfect career path. The Sims 4: Get to Work will give players a slew of new content that includes business lots, new interactions and much more. Read on to learn more. The Sims 4: Get to Work allows the user to finally have more say when it comes to their job experiences. No more just killing time while your Sims 4 is at work but instead you get to actually experience the career paths that you have chosen. There are so many fun paths to take that it really is hard to choose just one. 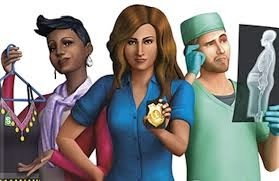 Some of the choices for careers in The Sims 4: Get to Work includes being a Detective, Scientist, and Medical professional. Following your Sim to work is up to you or you can let them go to work on your own if you have better things to do. If none of the choices appeal to you then there is always the option of starting your very own retail business. The best aspect of each career field is the ability to explore new neighborhoods (which were inaccessible before), ten exciting new levels and fun new features. Each area of expertise comes with its own unique features such as entering the medical field means studying your way to become a legit doctor--which can then deliver the babies within the neighborhood. If you are a Scientist then you can eventually create wormholes while the Detective career allows you to grill other Sims and solve crimes. Each career has certain challenges that must be met in order to fill up your bars each day. In order to get a great appraisal and become promoted then you need to focus on what needs done for that particular career. While each career offers up exciting and fun content, it is the ability to build your own business that really is the highlight of The Sims 4: Get to Work.. In the end, The Sims 4: Get to Work is a great expansion pack that is well-worth the price tag. 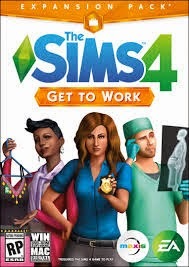 If you have been looking to add a ton of new content and replayability to The Sims 4 then look no further with the Get to Work Expansion.